Qiber is a condensed sans-serif typeface created by Mariya V.Pigoulevskaya and published by The Northern Block that can be applied in a variety of contexts. It is a handmade font that contains almost 500 characters and a lot of ornaments. Glyphs: Any Open Type Features, Basic latin/English letters, Diacritics, Currency,Ligatures, Central Europe, Baltic, Turkish, Romanian, Cyrillic, Other Open Type, Dingbats & Symbols. 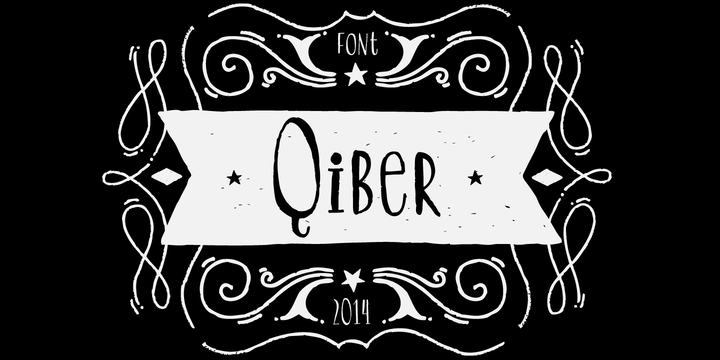 “Qiber” is a trademark of The Northern Block. A font description published on Monday, February 3rd, 2014 in Fonts, The Northern Block by Alexandra that has 4,652 views.